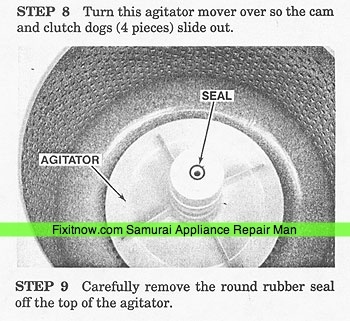 Hey, Bubba, you got you a Whirlpool or Kenmore direct-drive washer where the top part of the agimutator just wallows around and does nothing important anymore? Well, well, well– you got what we professional appliantologists call, “bad dawgs.” Agimutator dawgs, that is. Really, I shi’ite thee not! 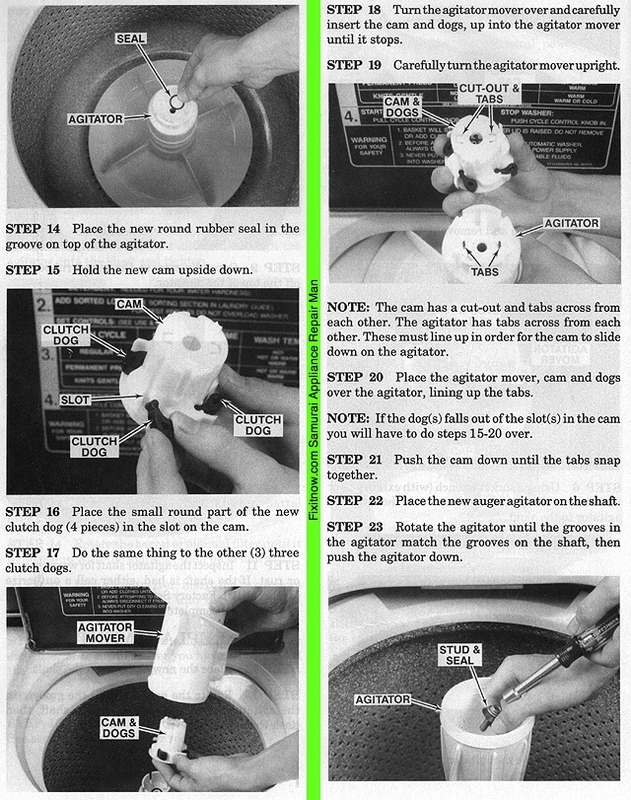 The pictures below from the gen-u-wine Whirlpool washer DIY repair manual will show how to do it to it. 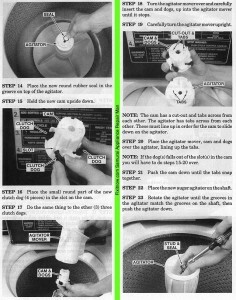 And you can buy the agimutator dawg kit ratcheer. Step 12: Place the new agimutator on the shaft. 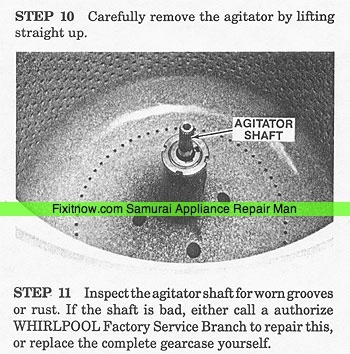 Step 13: Rotate the agimutator until the grooves in the agitmutator match the grooves on the shaft, then push the agimutator down. 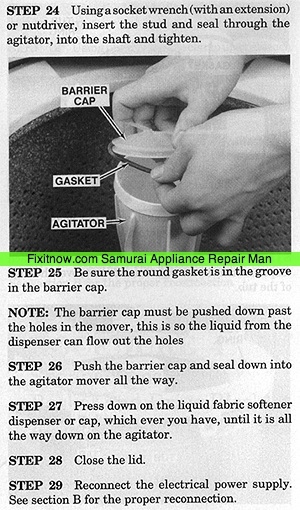 This entry was posted in Washer Repair on October 26, 2008 by Samurai Appliance Repair Man.